His first BBQ was a little round gas-powered camping BBQ that his Dad gave him when he went to Uni. Although it was a pig of a thing to cook on, He learned a lot and had some great times with that little ‘Q. His interest in BBQ’ing continued and he ended up with a four-burner gas-powered hooded BBQ, which he has used to great success. However, in 2012 he was made redundant from his job and found himself as a stay-at-home Dad, and that’s when it all started… He started watching YouTube videos looking for different ideas on what to cook for my family’s dinners and before he knew it, He had four BBQs, and was embarking on overnight cookouts. It was a rapid, slippery slope! He even entered the 2014 Australian Pitmaster Titles (a national BBQ competition) and managed to pick up first place in the Beef category! He has since competed in several competitions every year since and is going to American to compete in the Houston World’s Championships in 2018. 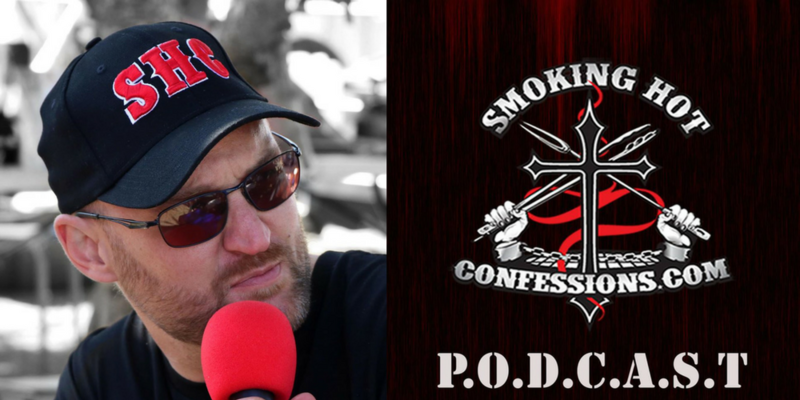 The Smoking Hot Confessions Podcast came about in 2016 and has been a hit on the Aussie BBQ scene. Make sure you check it out. Throughout my 16 years experience, he has learned many things, but the stand-out is that you don’t need a big fancy bbq, lots of money for expensive ingredients, and tonnes of time in order to cook some good food. All you need is the BBQ you’ve already got! And that is the goal Smoking Hot Confessions – to teach, learn and share all about ‘Q! I really had a great time talking with Ben and hope you enjoyed this as well.